Government of Sindh, Finance Department Karachi has issued the Notification on 14 February 2017 regarding increase in rate of utility allowance for Civil Secretariat Employees working under Government of Sindh. Earlier Govt. of Punjab has revised utility allowance for the employees working in civil secretariat. 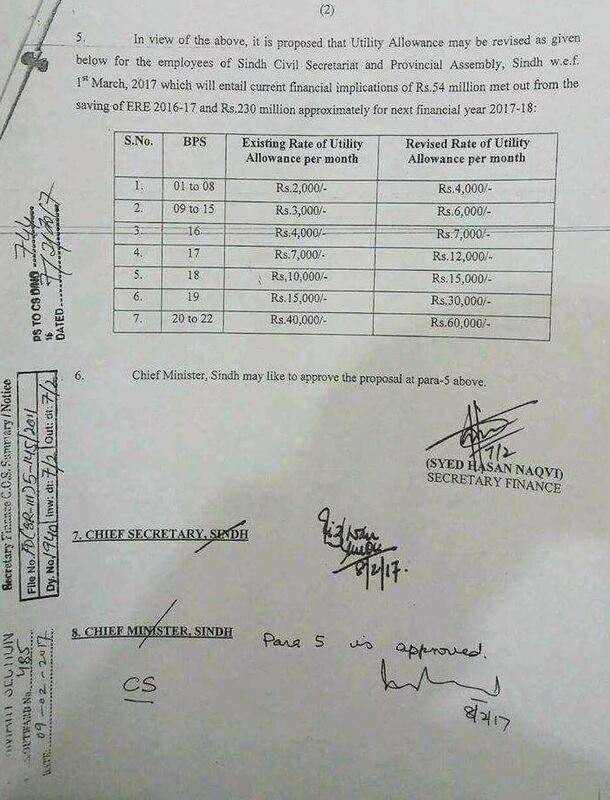 In continuation of this department’s order dated 2nd March, 2012 and with the approval of the competent Authority (i-e Chief Minister Sindh), the rate of Utility Allowance is hereby enhanced/revised for the employees of Sindh Civil Secretariat and Provincial Assembly, sindh w.e.f 1st March 2017 as under.